NEWPORT Minster has been awarded lottery funding towards its project to redevelop its building and transform its interior. The Heritage Lottery Fund (HLF) has awarded £130,700 towards plans to complete the refurbishment of the church building, and to make it welcoming and accessible to all. This development funding will be used so the minster can develop its plans and apply for a full National Lottery grant towards its £2.5m 'Revitalising Newport Minster' project at a later date. The project aims to complete external repairs - removing the building from Historic England’s Buildings at Risk Register - to create new facilities including a disabled WC, new activity spaces and a new kitchen and servery, to restore the Princess Elizabeth and Sir Edward Horsey monuments, and to deliver a vibrant activity plan researching the history of the building and famous people associated with its past who worked and worshipped there. The campaign to redevelop Newport Minster has been ongoing for several years. The first four phases involved restoration of the outside of the building, including the roofs, clock and tower. Phase 5, which was completed last year, was the first to begin the work of reordering the inside of the church, and created a new welcome area inside the main west doors. 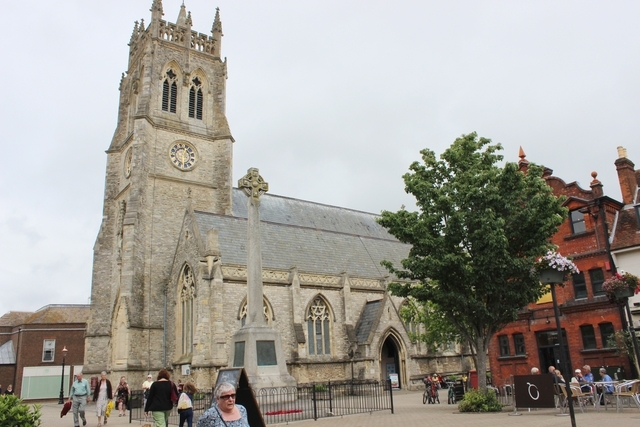 Newport Minster is Grade I listed and is important for its architectural design and its links to the royal family and Charles I, as his daughter Princess Elizabeth is buried in the church. It hopes to attract new volunteers to open the building for longer during the week and to ensure the church becomes a the focal point and hub for Island ministry and the community. New facilities will make the building more accessible and comfortable and should bring in a wider range of the community for worship and activities, and encourage people to enjoy and learn about its architecture, heritage and history. It also hopes to work in partnership with other heritage attractions and organisations on the island to support and encourage shared learning, resources and opportunities. Commenting on the award, the vicar, Canon Kevin Arkell, said: “We’re delighted that we've received this support thanks to National Lottery players.We hope to be able to welcome and support many more people in Newport due to this funding and to work in partnership with other heritage organisations, creating new opportunities for those in need."